I wish I would have found this fun New Year's Eve activity earlier. It is definitely going on the list for next year. But if you have balloons and some extra candy lying around the house, you might be able to still pull this New Year's Eve Balloon Pop off, sans the helium! 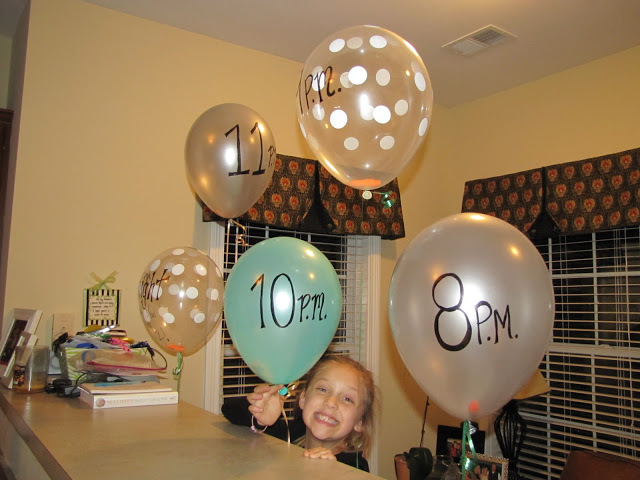 You can check out the details of this New Year's Eve balloon pop countdown over at Real Life, Real Estate, Real Dana. What a great idea! Thanks for sharing. Happy New Year to you and your family! Oh that is so fun! I'm gonna recommend this to my friends. They'll love it! Hope you had a wonderful Christmas and New Years! Best wishes to you and your family in 2013!